Marijuana is a drug that has recently been in the spotlight due to many states pushing to legalize the substance for medicinal or recreational use. 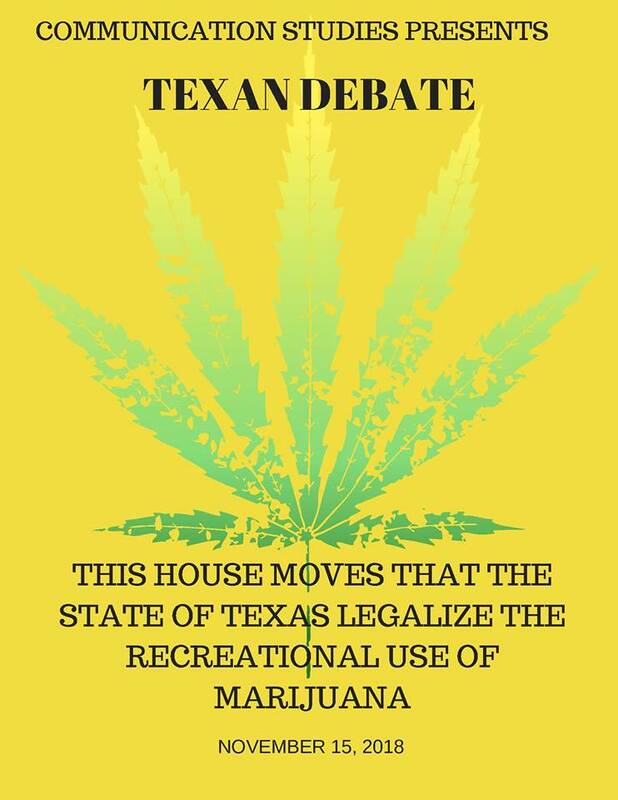 Texas is a state that hasn’t yet legalized the recreational use of marijuana, nor, do I believe we should. By taking away the thrill of using an illegal substance, this drug could actually cause children to try harder and more serious drugs, such as cocaine. By legalizing weed, we also are permitting the use of a drug that is proven to cause memory loss, lung damage, and heart problems. Pot is not a healthy choice of substance to use simply because a controlled form of this substance is offered to individuals with very specific heath concerns. In fact, substantial amounts of the weed being purchased by the public has traces of butane, fungus, and other contaminants that have been implanted in the products forcing states like Colorado who have legalized the drug to figure out how to regulate the substance. With the amount of contaminants found in marijuana, it leads to the problem of presenting the drug legally to the public. This new phenomenon being studied is not yet completely understood. According to the article,“Quality-Testing Legal Marijuana: Strong But Not Always Clean” the author makes known the unpredictability of the plants as they produce buds of different potency which can throw off consistent recipes. It is unpredictable to know what is in this substance. With cigarettes and alcohol already available to the public, it is easy to see the effects these have had on our society with rehab centers and drunken driving accidents. Likewise, the effects of marijuana could have an impact on not just the individual, but the family as well. From this information and seeing how legalizing marijuana has so many negative effects on our children and bodies, and seeing the potential troubles with regulating this substance, we should not allow the legalization of this drug.